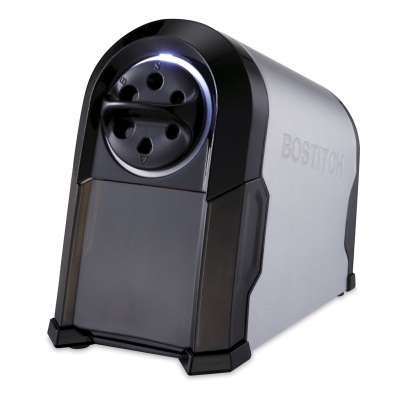 Made for demanding environments, the Bostitch Super Pro Glow Commercial Pencil Sharpener features XHC dual-cutter technology for 50% faster sharpening of both graphite and colored pencils. 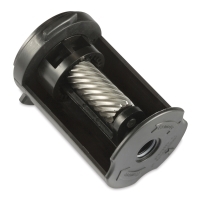 An exclusive replaceable cutter cartridge guarantees a lifetime of use for this classroom essential. 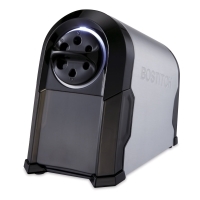 Equipped with a robust QuietSharp fan-cooled motor, The Super Pro Glow provides continuous quiet operation. Other premium features include a MagnaSafe tamper-proof safety switch that shuts down the motor when the shavings tray is removed, SharpStop technology to prevent oversharpening, and SharpGlow illumination. Antimicrobial protection is ideal for the classroom. 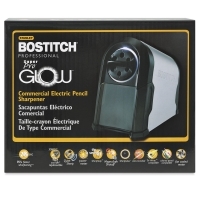 ® Bostitch is a registered trademark.™ QuietSharp, SharpStop, SharpGlow, and MagnaSafe are all trademarks.